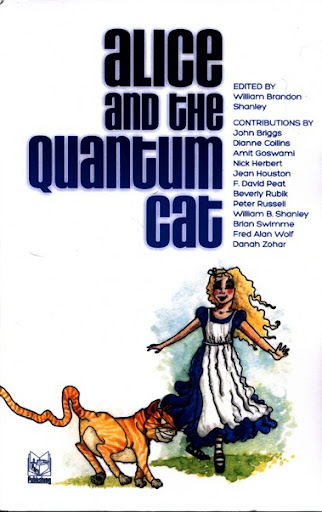 I haven’t yet read Bill Shanley’s new compendium, Alice and the Quantum Cat, but I’m so excited to do so that I’ve mocked up a review from the publisher’s notes. So many of our favorite philosophers and thinkers have contributed! Few works of fiction have inspired more reworkings than Lewis Carroll’s Alice in Wonderland. From Disney’s 1951 animation, Tim Burton’s 2010 adaptation. Grace Slick’s White Rabbit, Alan Moore’s Lost Girls to the definitive Annotated Alice by Scientific American’s Martin Gardner, this little Victorian girl’s adventures in a world of fantasy have captured the imaginations of millions. 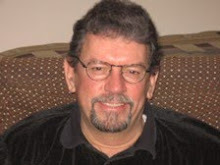 “Why shouldn’t Alice’s story be brought up to date and used to illustrate the bizarre nature of quantum reality?” reasoned William Shanley, an East-Coast media personality. So Shanley engaged myself and a number of others to refashion Alice’s adventures to explicate the mysterious world of quantum physics. Shanley’s passion to be all things to all people brought more and more writers into the project each with their own point of view. Every author invented their own new worlds for Alice to explore and the manuscript soon became a giant kaleidoscope of altered states.